The first-ever Greater Mekong Subregion (GMS) Business Summit opened in Hanoi on March 30 as part of the sixth GMS Summit (GMS-6) and the 10th Cambodia-Laos-Vietnam Development Triangle Summit (CLV-10). As an initiative of host Vietnam, the event aims to strengthen dialogues between enterprises and governments and connect businesses in the region and the world, while encouraging resources from the private sector for the GMS Programme. It will serve as an opportunity for GMS leaders, head of international and regional organisations, representatives of development partners, business sectors and academia to share their views on key development issues of the GMS region and discuss ways to strengthen cooperation among different stakeholders. 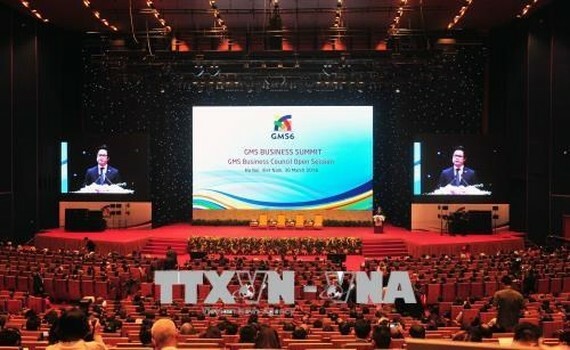 Speaking at the event's GMS Business Council Open Session, Dr. 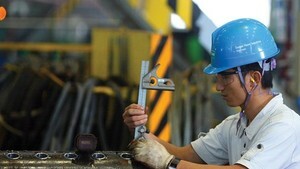 Vu Tien Loc, President of the Vietnam Chamber of Commerce and Industry (VCCI), said despite numerous achievements, the GMS remains the low land of the development in comparison with ASEAN, Asia and the world, in terms of per capital GDP, infrastructure, technology, finance, and human resource quality. With favourable geo-political location, rich natural resources, and abundant, cheap and young human resources, as well as the extensive reform and integration amid the fourth industrial revolution, the GMS can become the kitchen and the workshop of the world, he noted. According to Loc, the biggest challenges of the GMS economies remain in the quality of institutions and business competitiveness to meet the international standards and to join the global supply chain. He attached significance to start-up spirit, saying that the driving force of the GMS economies must be start-up, micro-, small- and medium-sized, and women-led enterprises. Applauding the initiative of the Cambodia Government on establishing a GMS young entrepreneurs business network, he said the VCCI also proposes a women-led business network and GMS startup network. He hoped that together with initiatives, programmes, and projects to promote regional connectivity, trade and investment facilitation, human resources training, environment protection and sustainable development, the business community network will multiply GMS efforts in international integration and development. During the session, delegates introduced the private sector to the development vision for the GMS in its third decade and the private sector led programmes. On the occasion, Sok Phiset, Vice Chairman of the GMS Business Council and President of Cambodia Young Entrepreneurs Association, launched the GMS Business Connect (GBC) Application. The GMS comprises of Cambodia, China (Yunnan and Guangxi provinces), Laos, Myanmar, Thailand and Vietnam. In 1992, the six countries entered into a programme of sub-regional economic cooperation, designed to enhance economic relations among the countries, as an initiative of the Asian Development Bank (ADB). Priority fields include infrastructure development, energy, telecommunications, tourism, trade-investment, human resources, and the environment. The GMS is expected to receive 66 billion USD in investment to strengthen regional economic cooperation in the next five years. Since its inception, the GMS Programme has mobilised 21 billion USD for the region.